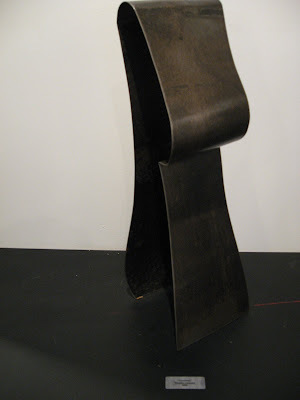 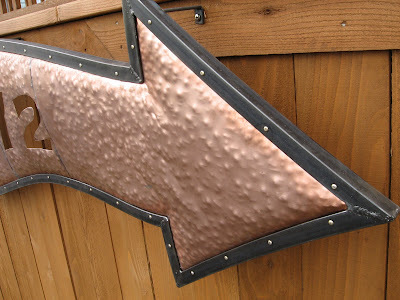 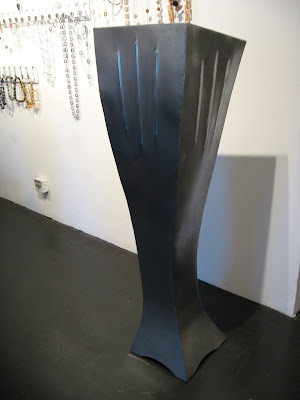 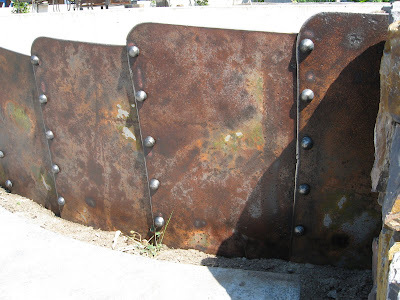 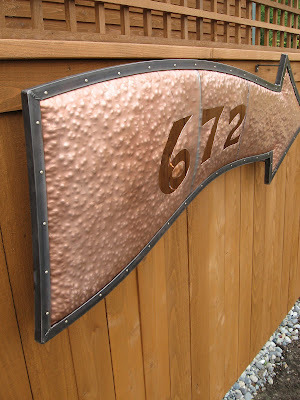 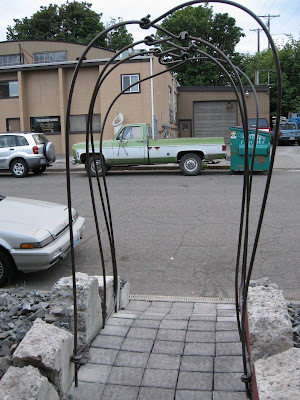 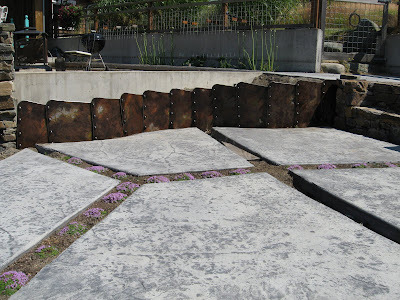 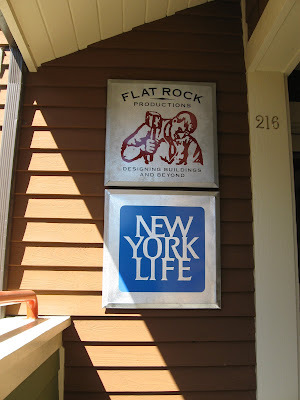 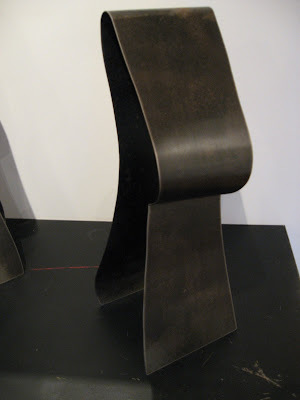 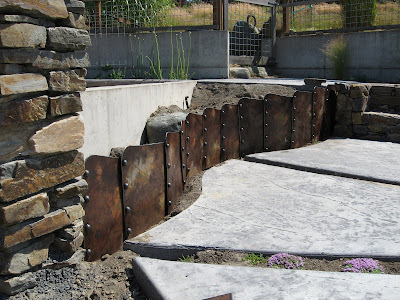 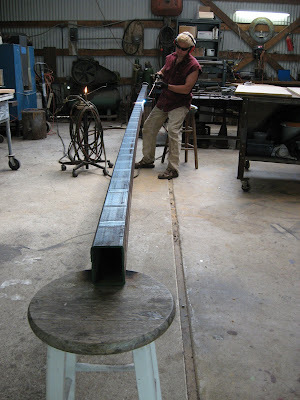 Heavy Steel plate wall approx 14 feet long made from recycled plate and hand forged rivets. 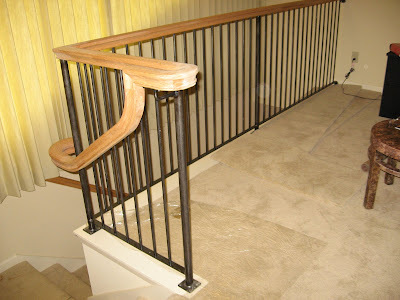 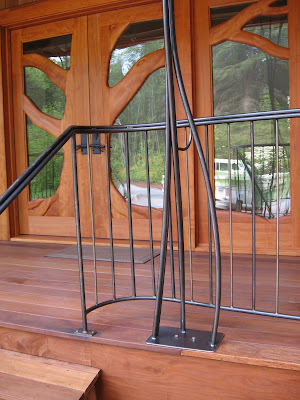 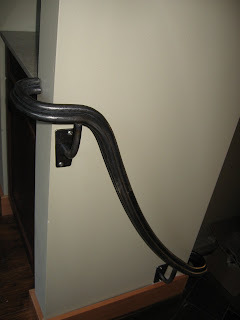 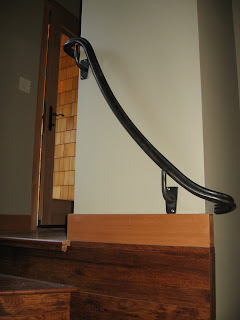 Hand rail made from 3/4" rods. 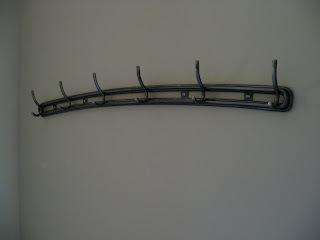 Custom coat rack made from 5/8" rod. 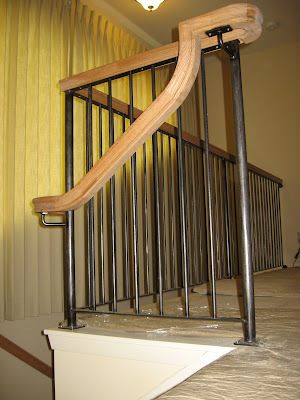 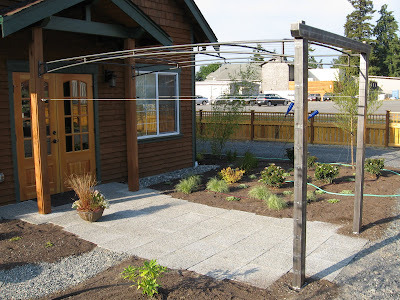 The Rails and posts are made from good ol' 3/4" steel rod. 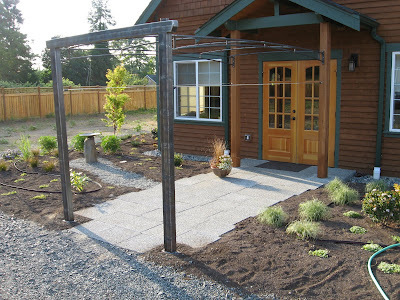 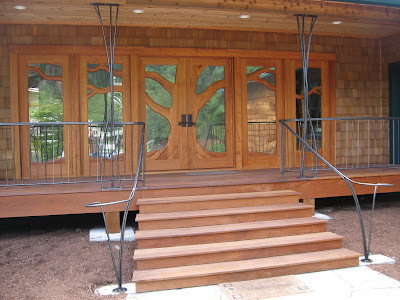 Christie and Bruce Schwager Designed and built the amazing madrona doors! 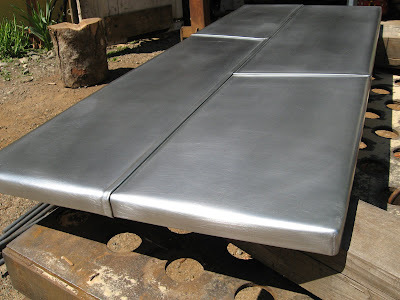 New Zinc metal top hand formed from 4 pcs of flat "S" seamed pcs of sheet. 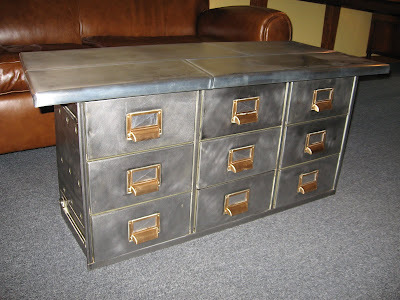 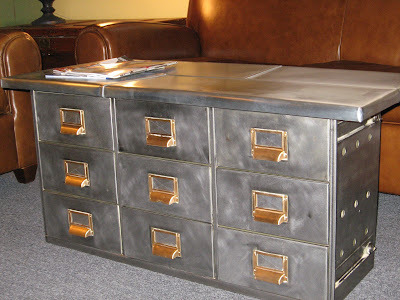 Mounted on owner supplied "Found" remodeled file cabinet. 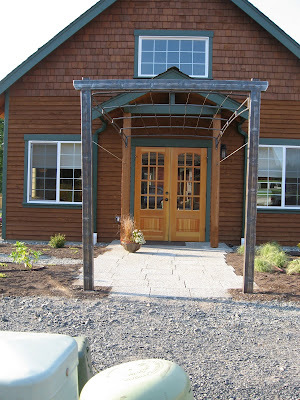 Great colaboration with Baerg construction. 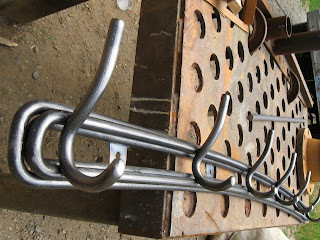 Made from 1 1/4" pipe, 5/8" rod, flatbar and clearcoated. 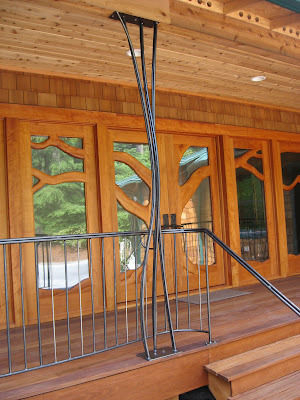 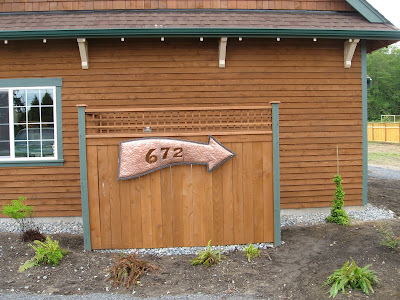 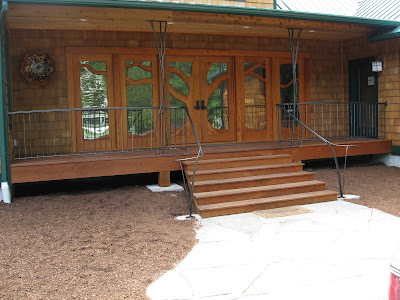 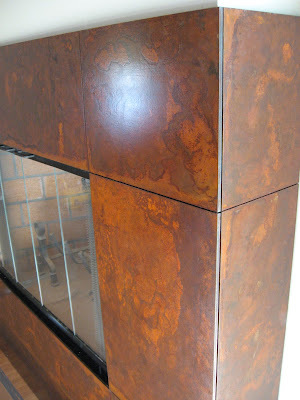 Wood work done by Baerg const.